It’s been said a million times before, a little bit of sunshine can make all the difference in the world. And that’s the feeling we get the moment we step into “Flicka” in Larchmont Village! 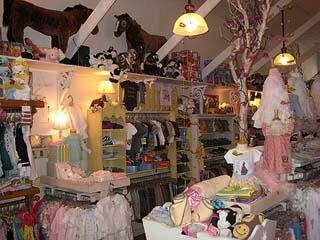 With a vast collection of clothes for both a princess and prince, it’s a fun place to shop. You could lost in Flicka for hours. They’re always getting new shipments of fun clothes in and keep their walls lined with fabulous finds. From Charlie Rocket to Mimi and Maggie, Flicka has it all. So, get yourself in gear and head over to Larchmont to catch some great deals!